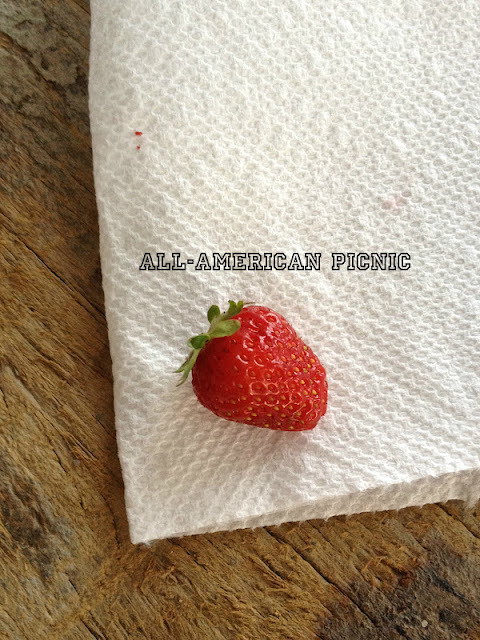 All-American Picnic: Strawberry Icebox Pie & The Best Pimento Cheese Sandwiches / Hey, EEP! This long weekend just wasn't quite long enough, right? I could have used another week or three of picnicking, sitting by the water and going on midday dates with my gentleman—easily! We met friends in the park between raindrops one afternoon: I packed two American classics in honor of the holiday and, well, because they're damn tasty. 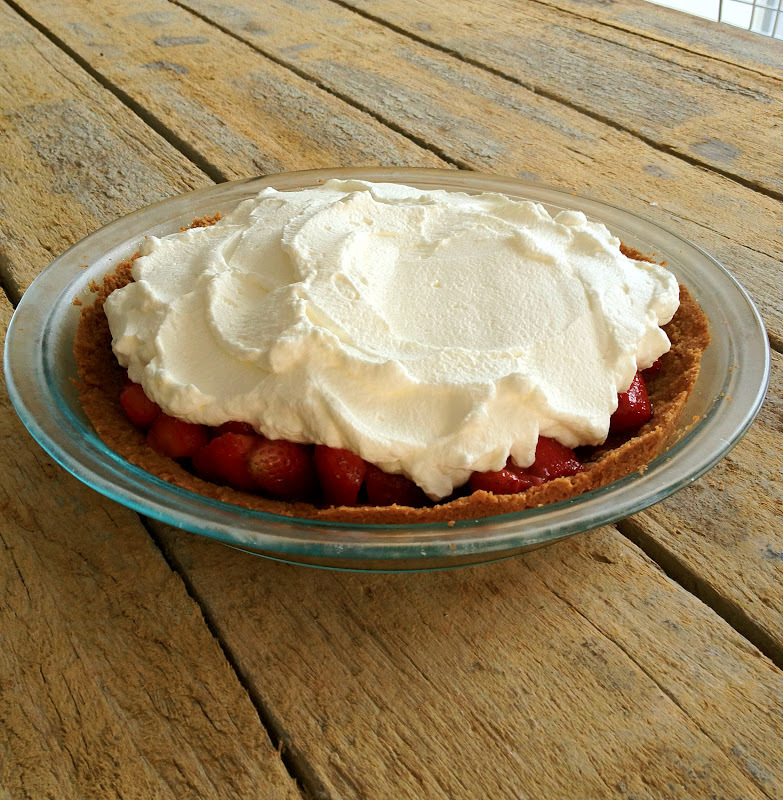 My strawberry ice box pie is super simple to pull off and surprisingly portable. 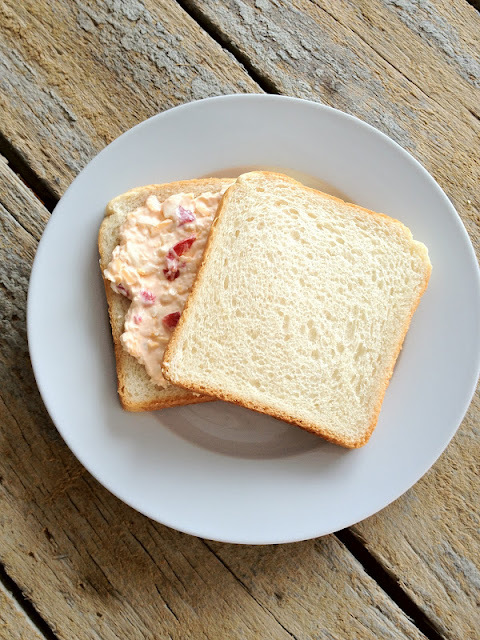 And who doesn't love a well-made pimento cheese sandwich? I wrapped these little guys in plastic wrap and tucked 'em into stackable containers (1 per couple) to minimize squishage. Mix sour cream, low-fat mayonnaise, shredded sharp cheddar cheese, shredded pepper jack cheese, diced pimento peppers, hot sauce, onion powder and salt in a bowl until combined. Spread and sandwich between soft slices of white bread. 1. Make the crust: Preheat the oven to 350˚. Pulse the graham crackers, sugar and butter in a food processor until coarsely ground. Season with salt. Pulse until combined. Press the mixture into the bottom and up the sides of a 9-inch pie plate. Bake until golden, about 10 minutes. 2. Meanwhile, make the filling: Cook the strawberries, jam, sugar and salt in a saucepan over medium heat until juicy. Continue to cook, stirring occasionally, until thickened slightly, about 5 minutes. Spread the strawberry mixture into the crust and cool completely. 3. Make the topping: Beat the heavy cream and sugar with a mixer on medium speed until soft peaks form. Fold in the sour cream. Spread on top of the cool pie and chill 30 minutes before serving. Best of luck getting back into the swing of things these next few days. Keep in mind, we all have a lovely, long summer ahead of us :) Cheers!